The demand for cryptomining equipment based upon PC graphics cards and motherboards dropped unexpectedly at the beginning of this month, reports Taiwanese computer industry journal DigiTimes. 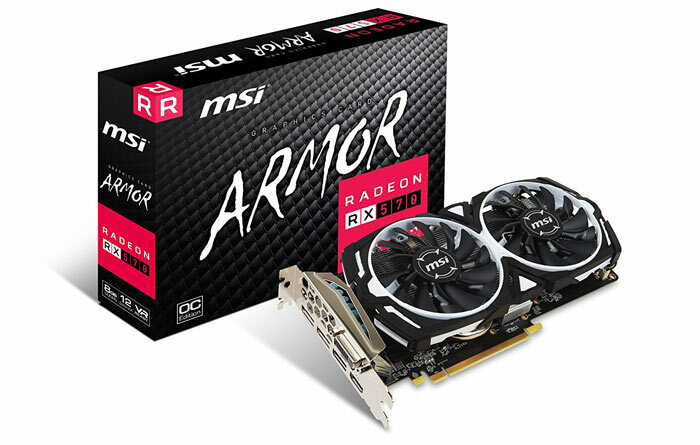 Major suppliers of these components, such as MSI, Gigabyte, and TUL have therefore seen shipments heavily impacted, it is claimed. Taiwan based graphics card makers are expecting to feel the pinch as shipments are down over 40 per cent, month on month. This is a huge downturn which DigiTimes’ sources lay firmly at the feet of the reduction in demand for cryptocurrency mining machines. What we see might well be the start of a trend, as it is noted that “Quite a few mining farm operators have even stopped purchasing graphic cards, as they are awaiting the rollout of Ethereum mining machines by China's Bitmain in the third quarter of 2018”. HEXUS reported on the impending release of the first Ethereum ASIC Miners from Bitmain, about a month ago. The news release timing appears to correlate closely with the date that interest in ordering piles of PC components for ETH mining dramatically waned. Many PC enthusiasts will be watching graphics cards prices with an eye for a drop. In this respect DigiTimes reckons that “gross margins for graphics card makers are expected to fall sharply to 20-25 per cent from a high of 50 per cent enjoyed earlier”. 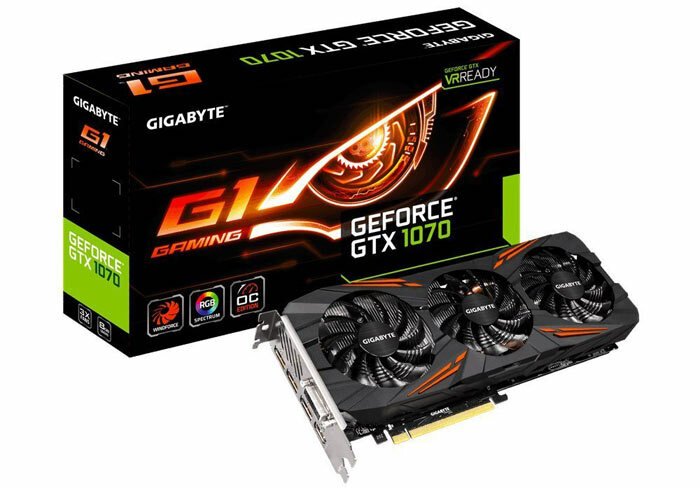 We could have some GPU sales and promotions coming up… However, the vendors hope for a rebound in prices in May or June - but no reason has been given for why such a rebound might occur. Many Taiwanese graphics card makers saw record revenues or earnings, in line with the crypto-mining boom and ascent of currency values. In that respect GPU pricing declines could still be reversed if various cryptocurrencies boom again. PC enthusiasts who don’t mine must hope that the classic bubble formation of cryptocurrency values plays out. 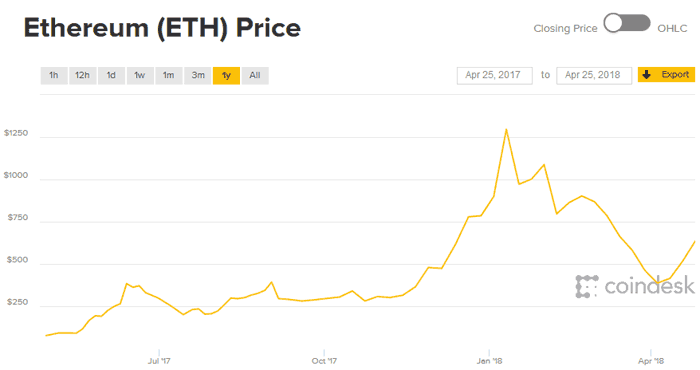 ETH pricing, for example, follows this financial values phenomena extremely closely. Tesla dumps Nvidia, will use its own self-driving chips Nvidia teases GeForce GTX 16 series gaming laptops MSI GeForce GTX 1650 Aero ITX OC Nvidia partners detail their GeForce GTX 1650 graphics cards QOTW: What wattage is your power supply? Please let this be the start of gamers having their hobby back! Already seen prices dropping on older cards second hand. Boom has ahem boomed I reckon! AMD prices seem obstinately high still, is this another case of graphics==Nvidia? I can get a 1070ti way cheaper than a Vega 56 (£420 vs £540) which says to me that we don't yet have healthy competition in the AMD video card market. Who actually hikes the prices up? Is it Nvidia/AMD, the card manufacturers or the retailers like Scan?